“Finished” probably isn’t the right word. What I mean to say is the first draft of the book is complete! So basically, it’s a mini celebration, followed by a lot more work! I still want to expand and rework a lot of areas in addition to general editing, so I’ll be keeping plenty busy. You probably didn’t notice that Day 14 was missing from my journal. Don’t worry, I want to forget about that day too. Thursday, I woke up at 6am to a notification on my phone that something had gone wrong with the website. I don’t want to draw attention to it. I really don’t want to re-live it again. The short version of the story is it was not good. Not good at all. Sparing the details, I discovered a technical error that was introduced by a recent feature update that probably cost us thousands if not tens of thousands of dollars. We fixed it 3 hours after I discovered it, but the damage was done. I’m sorry to be vague, but the technical details are really not that interesting. It was just an unfortunate mishap. This pretty much wrecked my focus for the day. After the issue was fixed, I fought for the rest of the day to regain focus. It really had me stressed out. By 5pm, I’d regained enough focus to write and started making progress on the book. Of course, 5pm is terribly late. Writing these journal entries and streaming video recaps takes hours of work. 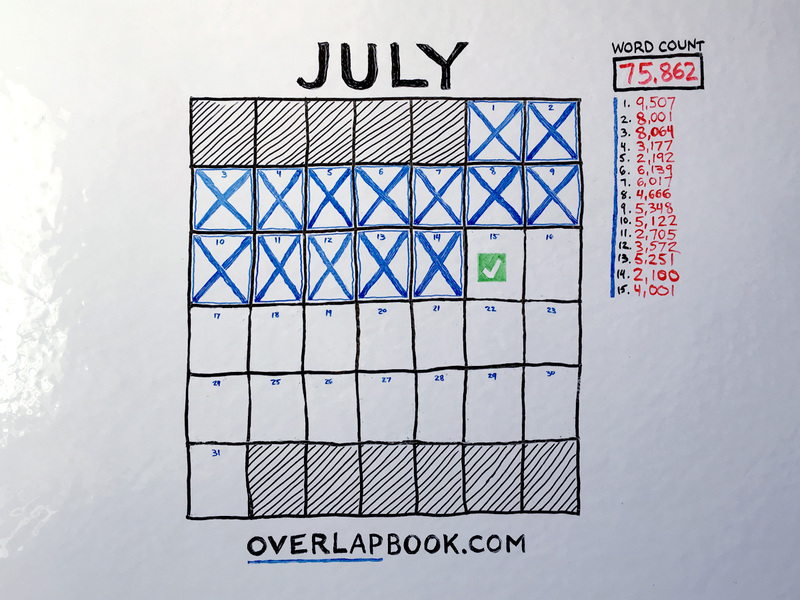 It came down to a choice between stopping in the middle of writing (when I’d finally regained focus) to write a journal about a day with no progress, or continuing to writing for the book and not journal. After I’d made the decision not to journal or streams video recap, it seemed obvious it was the right choice. But it bugged me that it was the first day after 12 days in a row of journaling and streaming video recaps that I was not going to be consistent. I had to remember that the entire point of this is to write a book—not to journal about writing a book. It was a very challenging day. Sometimes things just happen. They’re unexpected and you can’t plan for them. Sometimes, disaster strikes and it ruins your plans. You can get down and depressed about it, or you can pick yourself up and keep going. I still managed to write 2,000 words yesterday, so that felt really good. Today, I wrote a draft of the last chapter of the book, so I guess I can officially say the book has been written! I’m definitely not satisfied with everything yet, and there are many places I want to go back and re-work, but that is to be expected. My work is far from done, but the first draft of the book is written and that is good reason to celebrate! I ended up with 75,000 words. I will be writing more and expanding some chapters, but I will also make some cuts, so the book will likely remain around this length. Finishing the book in two weeks means I’m well within the goal I set on Day 9 and have earned the reward of going on a trip with my wife. I’m very much looking forward to that! I’ve reached the end of the first draft, but I’ll be going through this material, many, many, many more times. Please do subscribe below if you haven’t yet. I will be opening up pre-orders for the book soon and will be making an exclusive bundle available with some limited edition stuff only for those who pre-order. Two members of my team will be working on a new video course over the next couple of weeks, so all my camera gear will be up in Dallas—that means I can’t do any live streams for a bit. However, I will continue to post any future updates I have in written form here on the blog. Enter your email and subscribe below to stay in the loop and hear when the book becomes available!